"Running the Ghostnet Gauntlet". Oil on Canvas. 36" x 48". 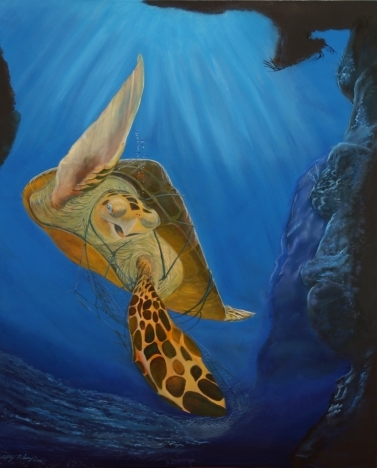 While an increased awareness of the damage gill nets can cause has helped to move these killers off our shores, nets indiscriminately abandoned in the ocean continue to threaten our ocean wildlife. Call for availability of original. 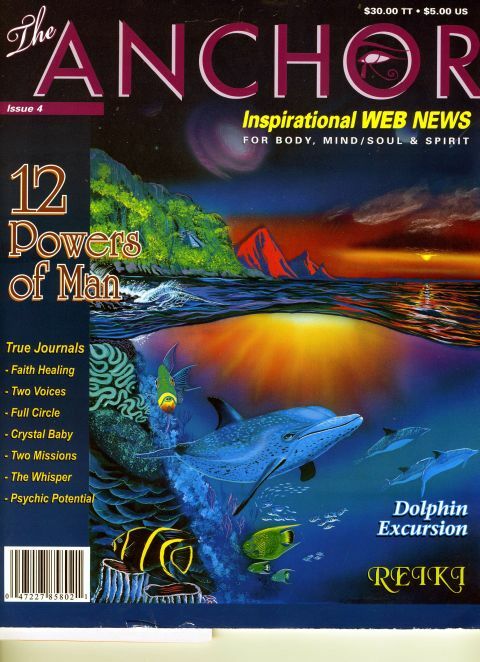 "Atlantis Passage" featured as cover art of June 2006 issue of Anchor Journal. See artist's Gallery link below to purchase a giclee print.